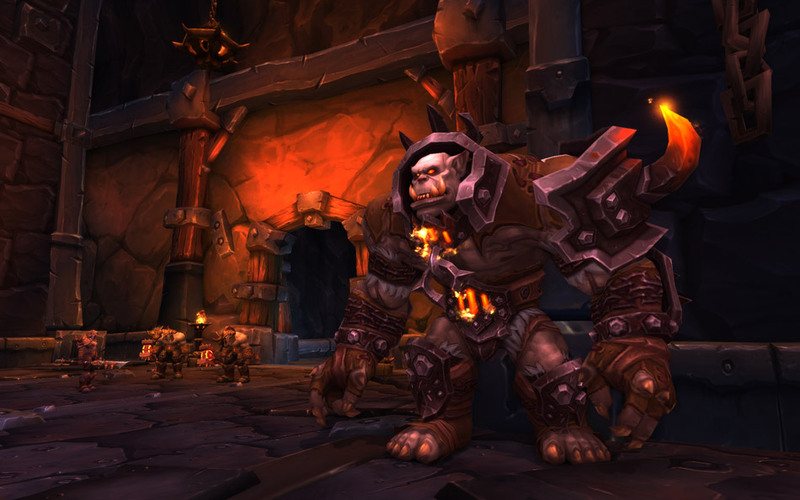 Blackrock Foundry was the ancestral home of the Blackrock orcs, wherein master smiths smelted and worked the impossibly hard ore that is the clan’s namesake. Now, massive giants captured and broken by the Thunderlord heat the great forges, flamebenders of the Burning Blade imbue the ore with an inner fire, and engineers shape the slag according to otherworldly schematics. 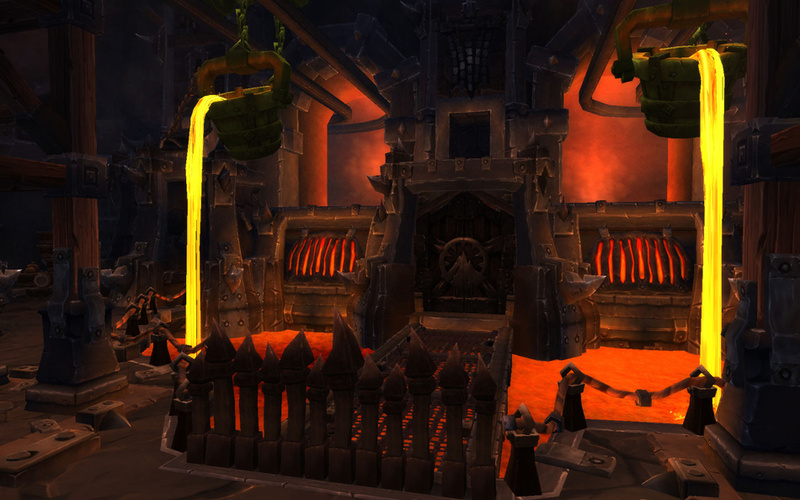 Warlord Blackhand’s foundry is the center of the Iron Horde’s military might, churning out the weaponry that will be used to raze Azeroth. 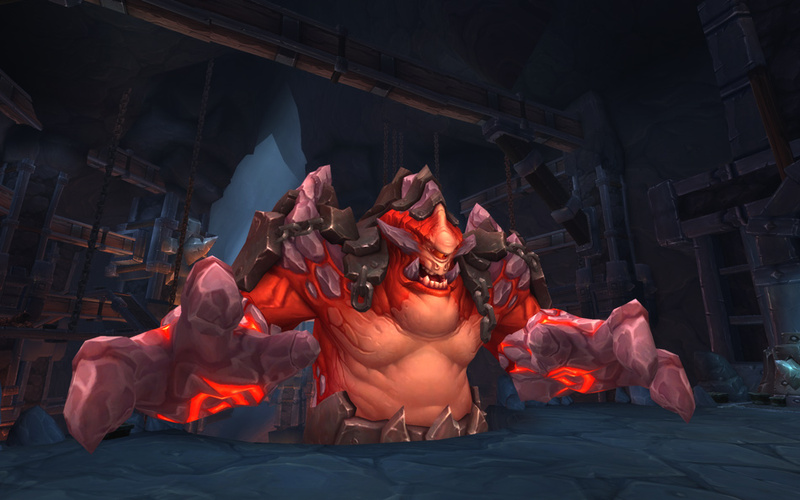 Just when you thought you’d become comfortable (as comfortable as one can get in a gladiator pit) with Highmaul, we thought it was time to shake things up and show you what’s waiting in our next Raid—Blackrock Foundry—and introduce you to Rukhmar, the latest world Raid boss. The Foundry’s spark of inspiration was the creation of the Slagworks’ “furnace room;” it created iconic silhouettes that we carried throughout the rest of the Raid, which has a very strong industrial look and feel. 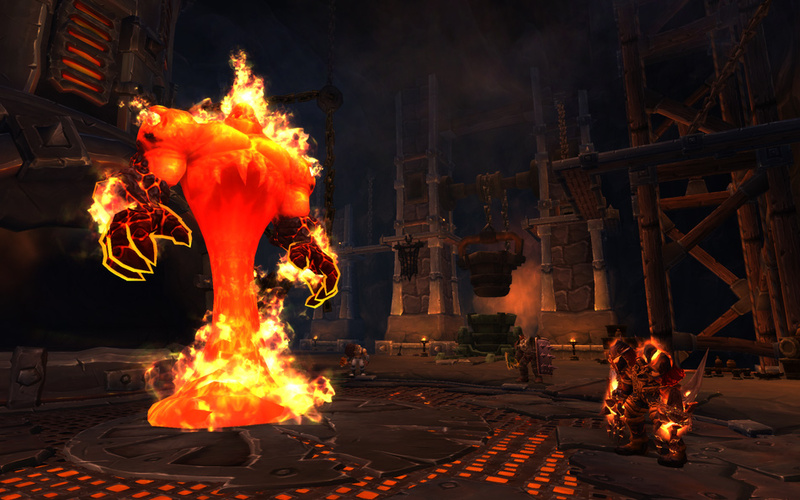 You’ll need a minimum item level of 635 to tackle Blackrock Foundry via Raid Finder. 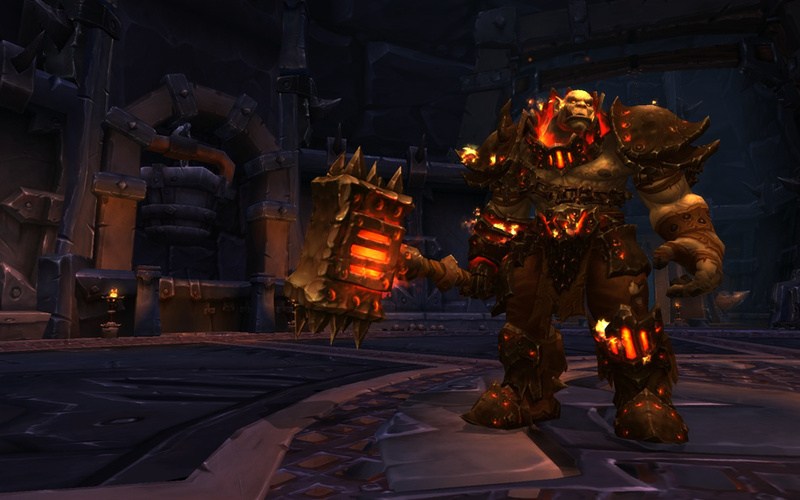 The Foundry’s rewards range from item level 650 (Raid Finder) to 695 (Mythic). 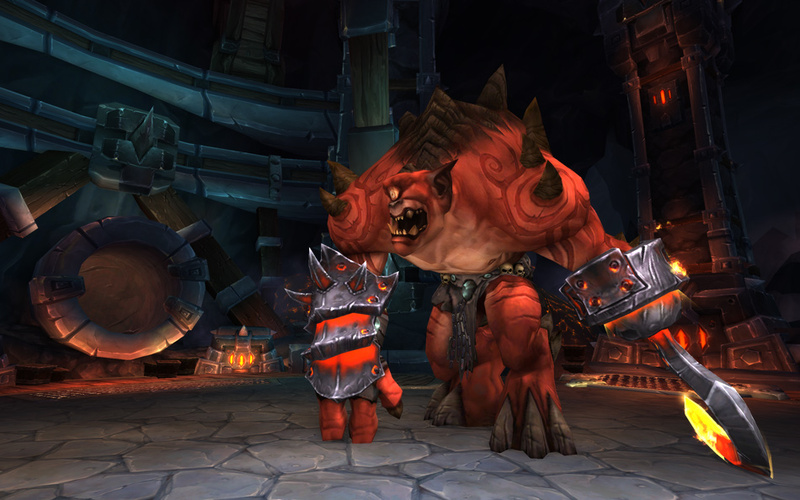 Let’s take a look at the bosses that await you within Blackrock Foundry. . . .
Gruul- Garrosh knew that the surest path to breaking the gronn lay in subjugating their great father, Gruul. 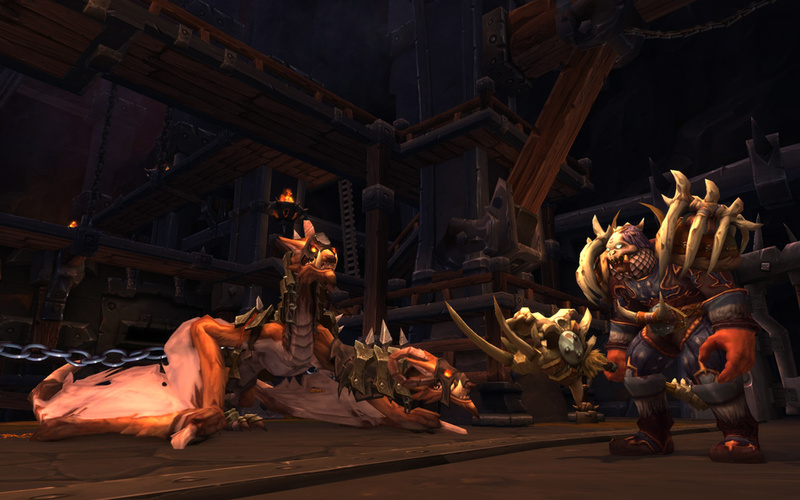 Known in another time as the Dragonkiller, here Gruul has been reduced to the role of menial laborer. In a cruel mockery of the Shattered Hand’s warrior tradition, his hand has been replaced with a hook to enable him to more easily haul pallets of fuel to the furnace. Oregorger- The storehouses of the Blackrock Foundry, laden with heaps and pallets of unprocessed Blackrock ore, represent a grand banquet feast for the ravenous rock-eating goren who have burrowed into the chamber. Oregorger is by far the largest of the invaders, gluttony swelling his frame far beyond the size of any goren previously seen in Draenor. The Blast Furnace- The Blackrock clan’s unique ability to smelt the black ore, a substance so dense that ordinary flame does not even soften it, has always been their most closely-guarded secret. 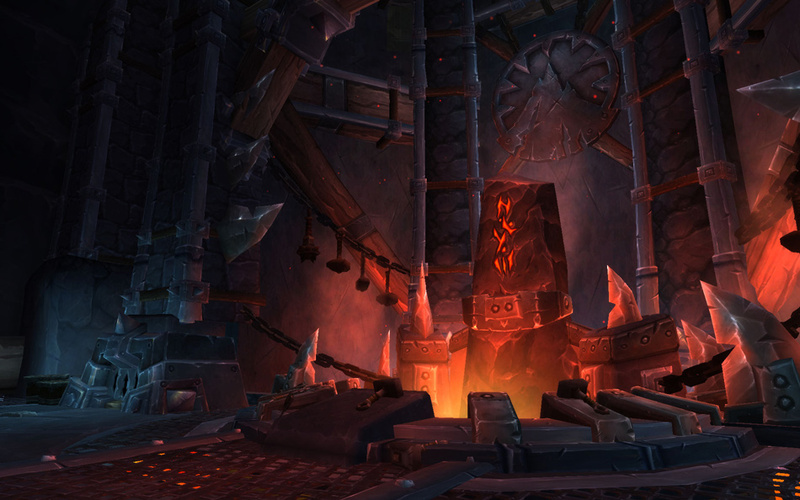 Deep within the Foundry, their furnace contains a primal force as old as Draenor itself, raging within the confines of its prison as it emanates a preternatural heat. 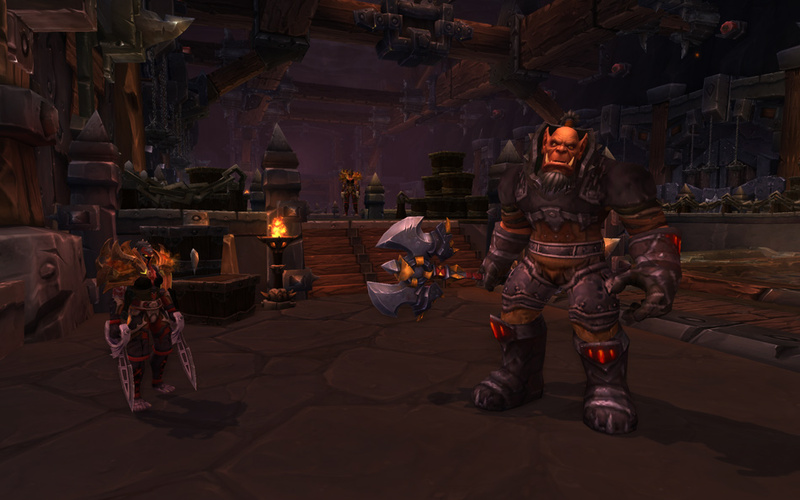 Hans’gar and Franzok- Hans’gar and Franzok are twin brothers raised and trained as masterful brawlers of their clan. Both carved paths of glory as warriors, but destiny had other plans. The brothers, each unwilling to slay the other in the rite of mak’gora, were banished from their clan and left for dead. They survived as outcasts in the savage wilds of Draenor and when the Iron Horde called, these powerful warriors found a new home in the massive war machine. 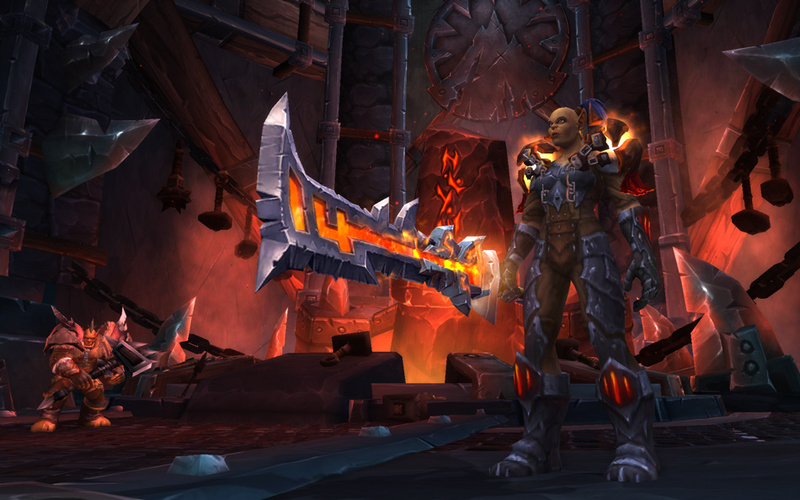 Flamebender Ka’graz- Under the banner of the Iron Horde, Blackhand has enlisted Flamebender Ka’graz of the Burning Blade to imbue the Blackrock-forged armaments with the essence of flame. Along with her assistant Aknor Steelbringer, Ka’graz toils before an ever burning forge in support of the Iron Horde’s conquest of Draenor. Kromog- The magnaron are mysterious in their ways, ancient and inscrutable. 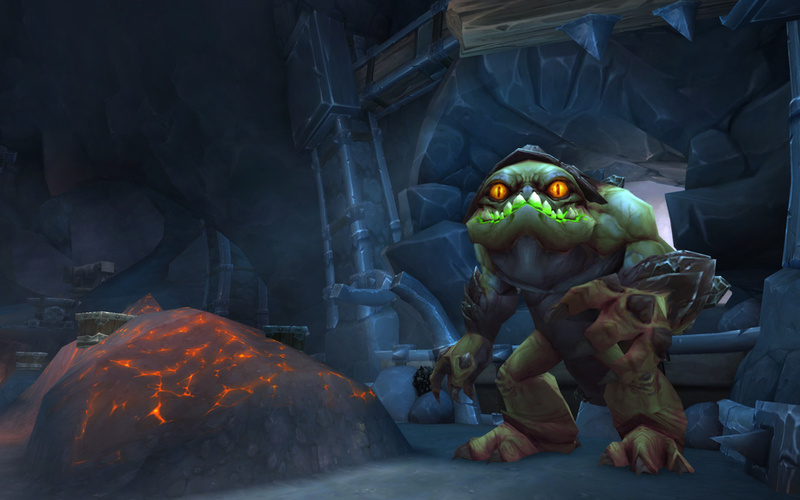 Miners excavating an expansion to the Foundry, in support of the Iron Horde’s massive production needs, were horrified to unearth a chamber containing a living magnaron. To their astonishment, Kromog began to assist in their endeavors, and now uses his massive stone fists to hammer out the gigantic plates needed for the Iron Horde’s dreadnaughts and siege machinery. Beastlord Darmac- As a young orc, Darmac quickly rose through the ranks of the Thunderlord as a gifted trainer of beasts. Where others only saw animal instincts, he recognized intellect and drew forth untapped potential from brain and muscle and bone. 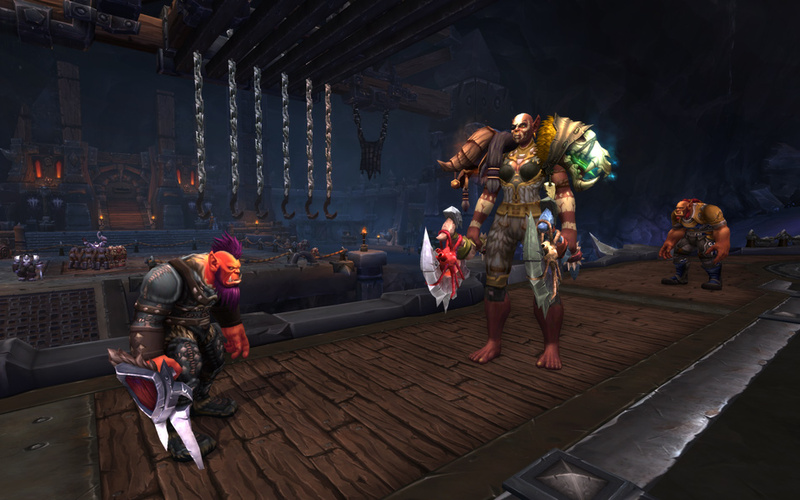 When the Iron Horde demanded his service, Darmac saw no greater honor than to outfit and train the most savage beasts Draenor has to offer. Operator Thogar- Known more for his cruelty and cleverness than for brute strength, Thogar oversees the operation of the Grimrail. From the Foundry’s depot, he coordinates the ongoing ground battle against the draenei in Talador, with entire battalions of troops and artillery at his beck and call. The Iron Maidens- With little opportunity to exercise her tactical brilliance under the ancient social structure of the orc clans, Gar’an was thrilled to be one of the first warriors to volunteer for naval duty under the Iron Horde. Instantly successful in battle, she was named Admiral of the iron Horde fleet and selected Marak and Sorka as her lieutenants. Together, they are called the Iron Maidens, and have crushed any who have dared face them. Blackhand- A ruthless tyrant and fierce warrior, Blackhand is Warlord of the Blackrock clan, second only to Grommash in stature within the Iron Horde. Bathed in sweltering heat that few other mortals could withstand, Blackhand oversees the operations of his Foundry from atop its Crucible, wielding his smoldering slag hammer to forge weapons of peerless quality. For more information on each of these bosses, their abilities, the items they drop, and more, check out the in-game Dungeon Journal. Rukhmar occasionally appears as a blazing firehawk soaring through the skies high above the Spires of Arak. The origins of the great bird are unknown though Rukhmar is venerated as a deity by the arrakoa, seen as an embodiment of the sun itself. Check out the Raid unlock schedule here.